This upcoming movie season is creating a crazy buzz. The range of films that are coming out in the next few weeks are impressive. Although, I have only been able to see the trailers for all of the movies below, I plan on seeing every single one. Each movie is creating some kind of Oscar buzz, whether it be from a best actress or a best director nomination. Each movie is packed with a great cast and plot to keep you thinking for days. Several of the films are based around true stories. They include a range of heart warming stories about unexpected relationships, to crazy action packed dramas. Either way, I would recommend any of these movies this upcoming season! This movie takes an unlikely cast and puts them into serious roles. The film follows the Schultz brothers, looking to make a stance in world-class and Olympic wrestling. Enter John du Pont, a stern and sullen wrestling coach that guides the brother to their fame, in the most unfortunate way. This film shows Steve Carell like you have never seen him before. He is far from the laughs that you are accustomed too and instead becomes a too mellow and intense character. 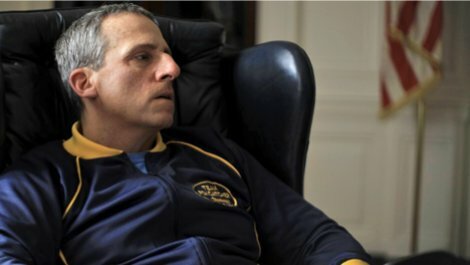 (Check out Steve Carell’s journey in the film, here.) You can see his progression just in the trailer alone. The ensemble cast also includes Mark Ruffalo and Channing Tatum. The film won for Best Director at the Cannes Film Festival back in June and probably will continue to win more awards this coming season. Foxcatcher will be released in theaters in November 14th. Cumberbatch is in his element in this dramatic thriller. Alan Turing (played by Cumberbatch,) is an English mathematician enlisted to help fight the Nazi during World War II. Although, he is not enlisted for the typical role as a solider, rather as a decoder. He is helping to solve the Enigma code in order to help the Allies during the War. 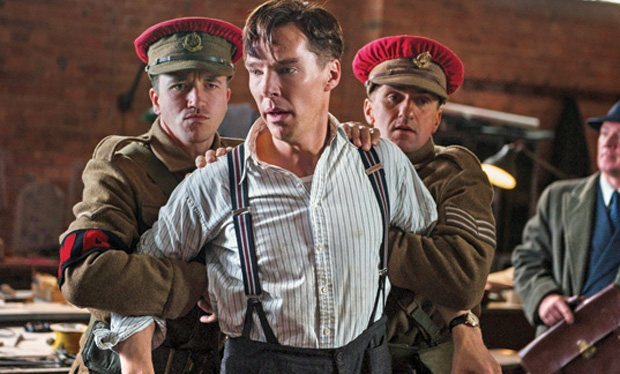 The Imitation Game won its share of awards during its debt at The Toronto Film Festival, including the People’s Choice Award for Best Film. Joining Cumberbatch breaking codes will be Kiera Knightley and Matthew Goode. The film hits theaters on November 21st. Who doesn’t love Billy Murray? If you’re a sucker for a feel good movie it looks like you will enjoy this one. Billy Murray plays Vincent, a gloomy old man who finds himself in a pickle. Enter, Melissa McCarthy. McCarthy plays Maggie, Vincent’s new next door neighbor. As unlikely situations for both parties start to unravel, Vincent (Murray) begins to watch Maggie’s (McCarthy) child after school. Vincent and Olivier (new comer to the big screen, Jaeden Lieberher) develop an unlikely bond while Vincent teaches him about what it means to be a man. St. Vincent is out for limited release this weekend and will hit theaters nationwide on October 24th. I am a huge Miles Teller fan and cannot wait to see his next big hit. From the trailer it looks like the Miles Teller that we are not used to. 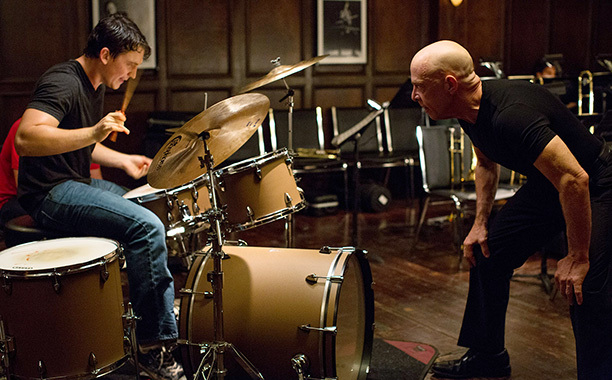 He ditches his girl crazed antics for a more serious role as a jazz drummer. 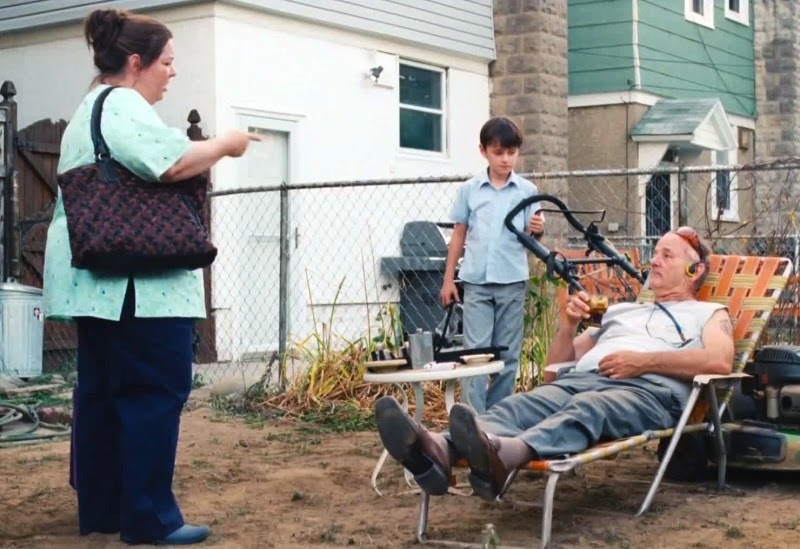 J.K. Simmons, mentors Teller in this film about a student and his teacher, seeing how far they can push each other. Teller plays a promising young drummer at a jazz conservatory and Simmons plays the mentor who is not willing to back off until Teller is at his full potential. The film is getting great reviews and was a major hit at Sundance this previous winter. The film is out for limited release this weekend and is available nation-wide on October 16th. After studying abroad, anything about traveling immediately hooks me in. So when I saw the trailer for Wild, I could not wait to see this story played out on the big screen. 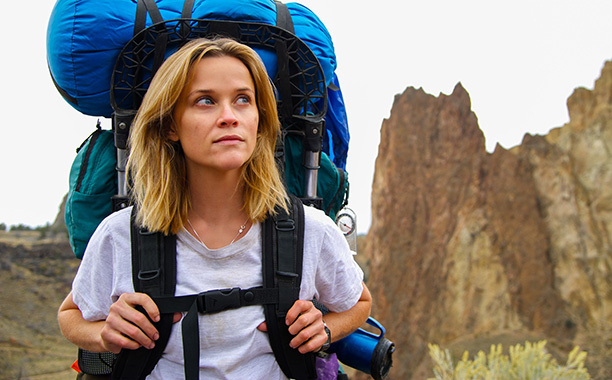 The film is based on the true story of Cheryl Strayed. She recorded her travels in the memoir Wild: From Lost to Found on the Pacific Crest Trail which became a New York Times Best Seller. Reese Witherspoon went full-out to play this raw and unforgiving character who is trying to get her life back on track. The trailer itself gives a preview of the beautiful scenery (or at least I hope, given that the AMAZING locations they filmed in) that will accompany the major plot lines. Now this is a film I can get on board with. Wild hits theaters on December 25th. Alright, alright, alright, McConaughey is back! (And Christopher Nolan too!!) This sci-fi picture seems like it will be Batman and Inception like cross-over. McConaughey plays Cooper, who is asked to complete a mission to help save the Earth. The main catch (or from what it seems,) is that he must leave behind everything he knows with the risk of not coming back and the Earth being destroyed in the process. But hey, no pressure, right? Anne Hathaway joins McConaughey on the big screen in order to try to complete this mission. 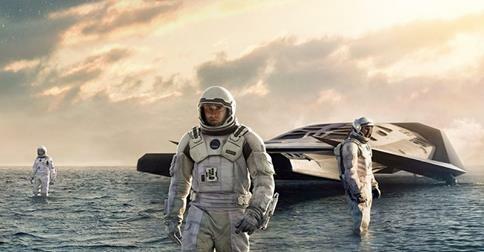 Interstellar will be playing nation-wide on November 7th. AMY ADAMS! Will this finally be Amy’s year to win an Oscar? (I am sure rooting for her! Check out the big race here!) Amy stars in the Tim Burton directed film as Margaret Keane, an artist who is wary of what to do with her hidden success when her husband Walter Keane, played by Christopher Waltz, takes credit for all of her work. I don’t know if I just want Amy to finally win an Oscar or that the fact that The Weinstein Company used the score from Silver Linings Playbook in the trailer, but either way I am hooked. Big Eyes will be released on Christmas Day. It’s about time! I have been seeing set pictures of this film for a while, so to finally see the trailer put a story to those still shots is great. Angelina Jolie is back in the directing seat to bring to life Unbroken, the best-selling novel written by Laura Hillenbrand. The screenplay, which was written by the Coen brothers, tells the story of Olympic runner Louie Zamperini, played by Jack O’Connell. Zamperini then goes on a journey of a lifetime after being drafted in the war and surviving a plane crash, only then to be taken as a P.O.W. This crazy action drama can be seen in theaters December 25th. The newest trailer for this film broke my heart, so I can only imagine what the full movie will bring. 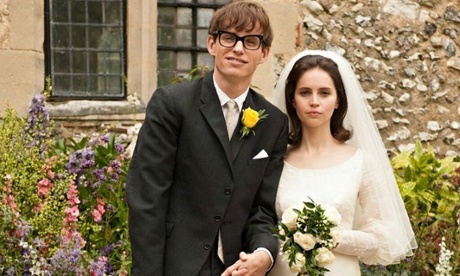 The film tells the unlikely love story of Stephen Hawking and his wife Jane Hawkings, played by Felicity Jones. The story follows Hawkings as he is diagnosed with a motor-neurone disease. From the trailer it looks like is he able to overcome his boundaries keeping his relationship at the same time. It looks like you may need to bring the tissues for this one. The movie is out on November 7th.